CHICAGO, IL: In an ongoing effort by Turtle Wax to explore innovative new partnerships, the leading name in car care has joined forces with “America’s Favorite Sponge”™ for its first co-branding deal. The passionate product developers at Turtle Wax and Scrub Daddy have combined their automotive and cleaning expertise to deliver an easy-to-use and effective solution for a variety of consumer needs in the car and around the home. Turtle Wax products are renowned in the auto care space, and Scrub Daddy has already made a name for itself for versatility in home cleaning. The partnership allows both brands to explore new territory through the development of the Turtle Wax M.A.X. Power Hand Cleaning Sponges powered by Scrub Daddy. The sponge is inspired by the customizable cleaning power of Turtle Wax M.A.X.-Power Car Wash and uses Scrub Daddy’s FlexTexture® technology. 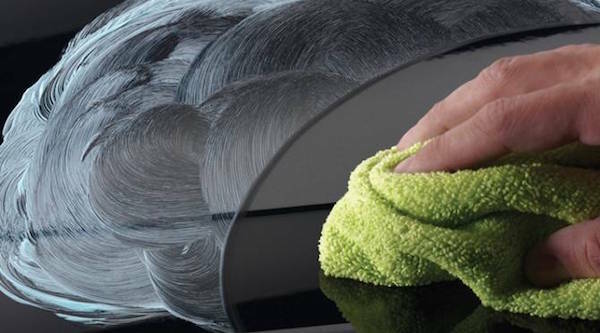 The ergonomic design helps clean every inch of the hand and finger nails, plus can be used for exterior and non-porous interior auto surfaces, and even works on a variety of tasks around the house. The car care brand has 70 years of experience developing automotive solutions, and is exploring licensing and co-branding deals with companies that will expand its offering into new markets. While the iconic brand is considering lending its name to a cross-category assortment of products, only those that can stand up to Turtle Wax’s standards of innovation and quality will move forward into development. Turtle Wax M.A.X. Power Hand Cleaning Sponges powered by Scrub Daddy are available in packs of three on Amazonnow, and can be found in select retailers starting late July, 2017. For more information about Turtle Wax, visit www.TurtleWax.com and follow us on Facebook, Twitter and Instagram to stay up to date with the latest and greatest from the brand. For more than 70 years, Turtle Wax has been a leader in the car care industry, formulating innovative product lines to meet the ever-changing needs of both car enthusiasts and the automotive industry. With humble roots in Chicago, Ill., Turtle Wax continues to be a family-owned and operated business with sales in more than 90 countries. Give your car the best in shine and protection with Turtle Wax. For more information visit www.TurtleWax.com or follow Turtle Wax on Facebook and Twitter. Founded in 2012, Scrub Daddy is the world’s most innovative scrubbing product and the most successful product in Shark Tank history. Scrub Daddy’s happy face, with cut out eyes and mouth, is made unique by its patented FlexTexture5:55 PM® material. In warm water, it’s gets soft; in cold water, it gets firm. And even when firm, it scours without scratching, making it ideal for every cleanup chore imaginable. Scrub Daddy’s technology also keeps it clean of debris, even after weeks of use. Scrub Daddy can be found at Amazon, Bed Bath & Beyond, CVS, Home Depot, Kroger, Staples, Target, QVC, Wegmans and select Wal-Mart locations. Scrub Daddy’s mission is to develop the world’s most creative, fun and innovative sponges, scrubbers and cleaning tools. The Scrub Daddy product line includes Scrub Daddy Original, Scrub Daddy Lemon Fresh, Scrub Daddy Colors, Sponge Daddy, Scrub Mommy, Scour Daddy and Eraser Daddy. For a visual, check out the product in use on the company’s homepage: http://scrubdaddy.com/. facebook.com/GetScrubDaddy. Twitter: @ScrubDaddy.